Panama was a bit of a fluke for me. Although never really on my list of must-see spots in the world, the Central American nation simply bowled me over when I got a chance to go. Two oceans in one day. Panama is a narrow country. Really – it measures only about 30 miles across in places. Among other things, that means it’s possible to swim in the Caribbean Sea in the morning, and the Pacific Ocean in the afternoon. 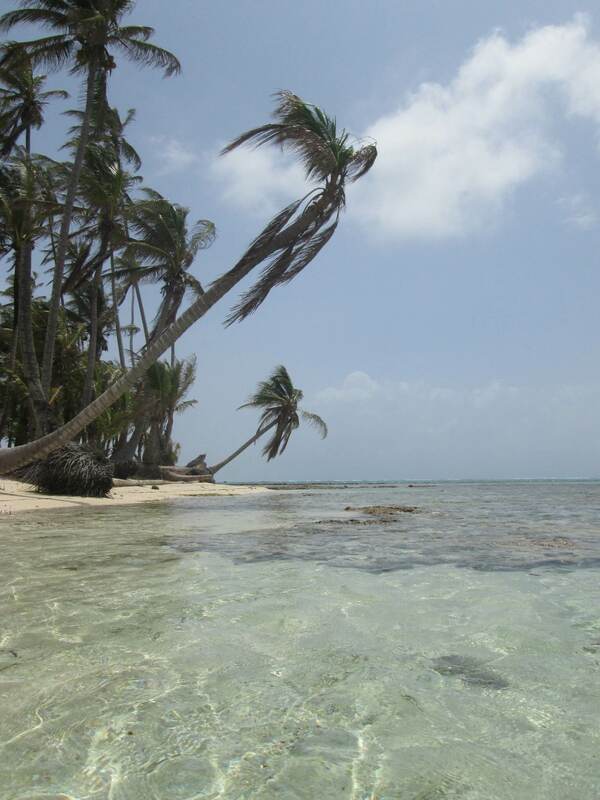 San Blas Islands – Panama’s Caribbean Sea. 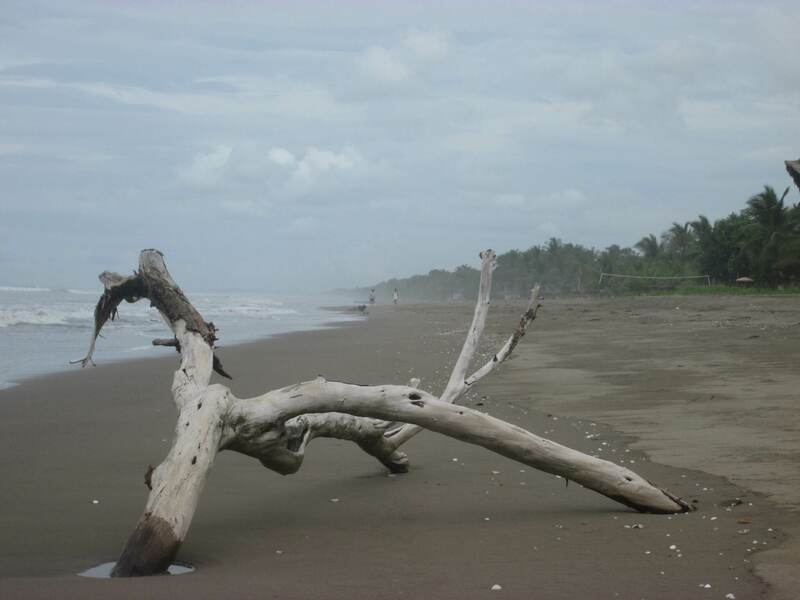 Las Lajas Beach on Panama’s Pacific coast. Ceviche! The Mercado de Mariscos (fish market) in Panama City’s Casco Viejo is delightful in many ways – not the least of which is the huge variety of ceviche. While the restaurant upstairs serves a full menu of delicious local fare, the outdoor booths focus mostly on ceviche. Vats of octopus, shrimp, and fish spiced up with lime juice, chili peppers, and cilantro line the outdoor walkway. The casual little eateries serve up their creations in Styrofoam cups, and add a side of thick tortilla chips or saltines. Each time we visited, the outdoor picnic tables were packed with locals. 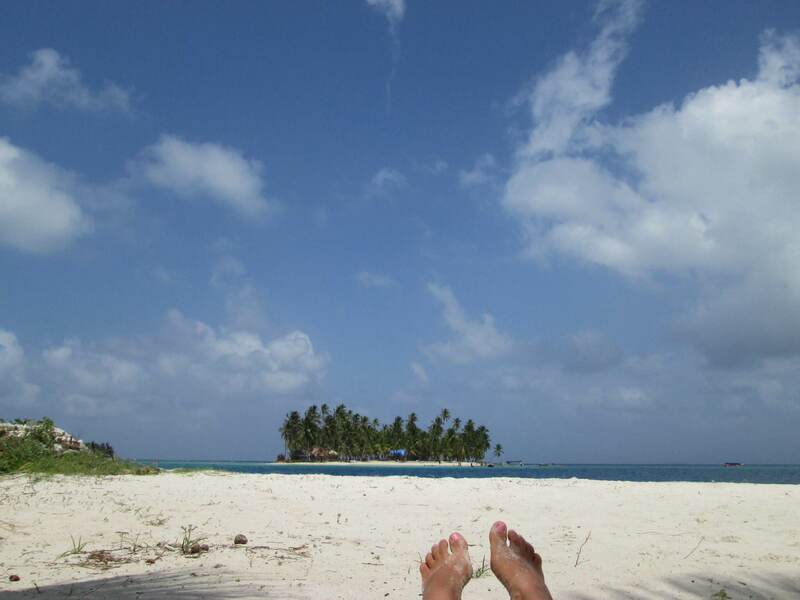 San Blas Islands. I can’t say enough about the beautiful archipelago of unspoiled tropical islands off Panama’s Caribbean coast. The iridescent blue water, the fine white sand, the swaying coconut trees, the friendly Kuna people. Before I visited Panama, I didn’t even know the islands existed, but after a two-night stay on Isla Diablo, I have recurring dreams of going back. Casco Viejo. 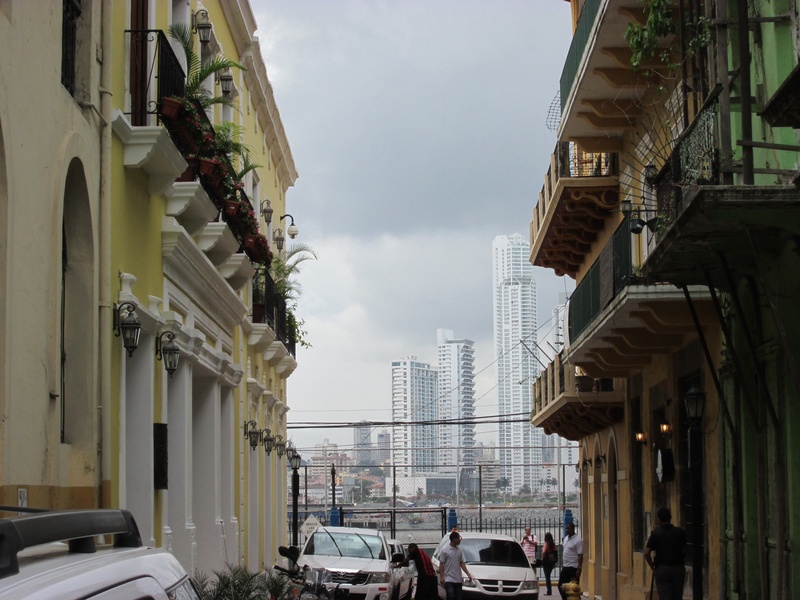 Dating back more than three centuries, Panama City’s old town is packed with historic buildings in various stages of restoration. Totally walkable, the hilly area features plenty of quaint restaurants and bars, allowing you to get your fill of Balboa beer. And did I mention ceviche? Comarca life. 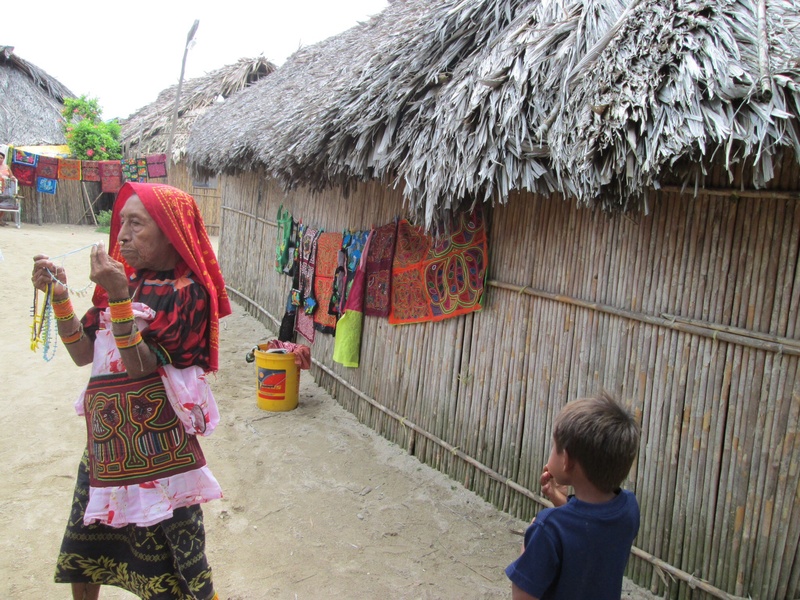 One of the advantages of traveling the country with a Peace Corps volunteer was that we got to stay at her home in one of Panama’s authentic Comarcas – the dispersed communities of native people. Walking along the village’s dirt roads, stopping to chat with townspeople clad in traditional colorful garb, buying a bottle of Coke at one of the many mom-and-pop markets – it all made the visit truly memorable. Definitely off the beaten track, and a glimpse into the soul of the country. Little family-run shops dot the landscape in the Comarcas. Molas. Everywhere we went – from the open-air art market in Panama City to the small islands in the San Blas to roadside booths – Panamanian women were selling molas. Traditionally, the women use the colorful, geometrical works of fabric art for their clothing. But squares of cloth featuring the reverse-application designs are available for purchase all over the country. They’re beautiful and eye-catching. Coffee plantations. 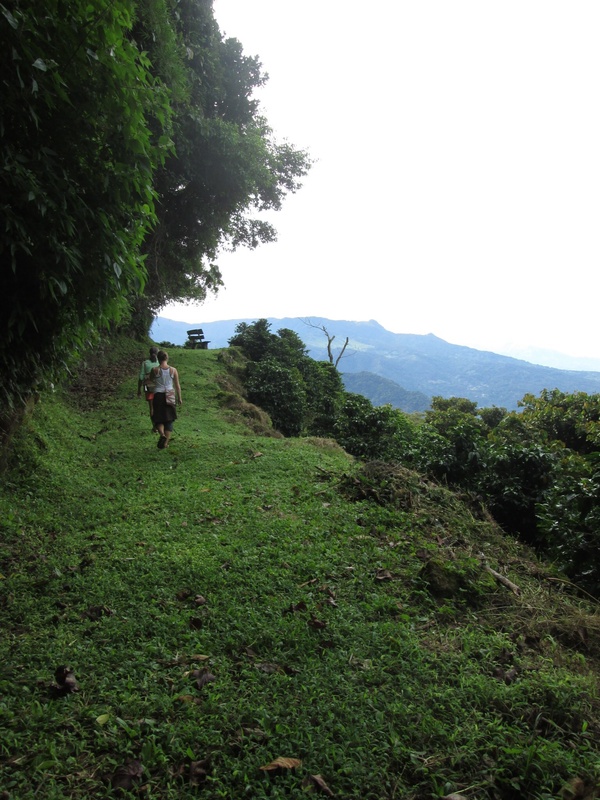 Like its neighboring Costa Rica, Panama has diverse topography, which includes mountains, where coffee is grown. A visit to the pretty little town of Boquete gets you right in the midst of coffeeland, and many area plantations are open for tours. 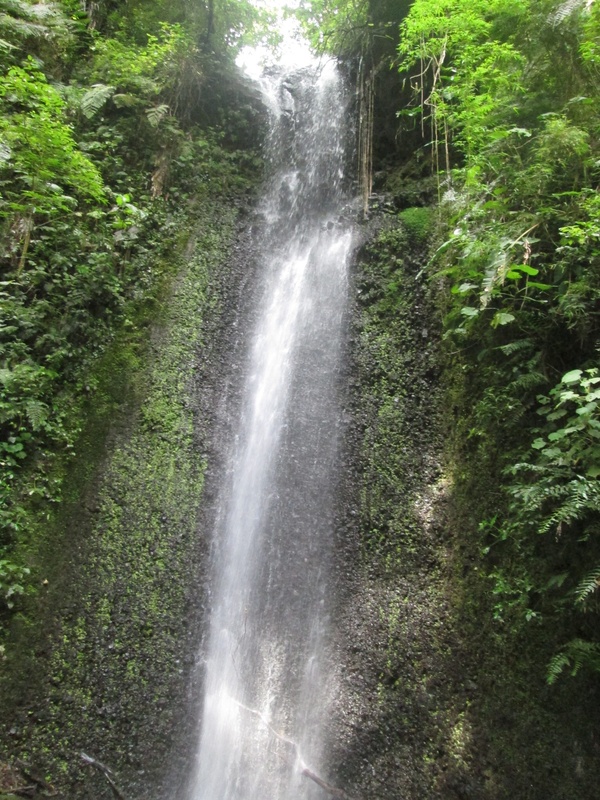 For those looking for a little more adventure, the Boquete area also boasts zip-lining through the rainforests. International travelers. While we stayed on Isla Diablo, we were joined by a small group of fascinating fellow travelers. For lunch and dinner, we sat at picnic tables and chatted – with a couple from Sweden on an around-the-world trip, two young women from Portugal on an extended holiday, a French couple, and an American man blogging his way through Central America. Everyone seemed to know just enough Spanish or English or French to communicate. It was a beautiful thing to watch everyone coming together in such a stunning spot.